As I sit at my desk......Last year I started a blog post with similar words but no I am not repeating myself. As I sit at my desk in the study I just simply have to glance to the right of my laptop and I get the first example of hearts that can be found around our house. Some hearts are decorative but these ones have a useful purpose as well. These hearts were also mentioned in one of my #100HappyDays posts. They are the Love Heart coasters that I use each day for my coffee mug or glass in the study. That does not mean we are a very soppy couple because we are not - I just like hearts. 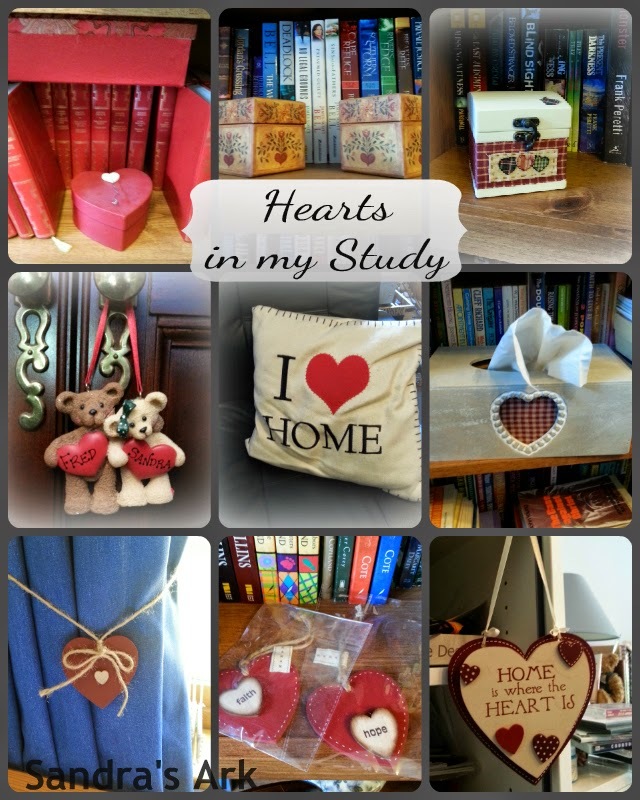 They are not the only hearts in the study. There is also a heart decorated box. It is really just decorative as I love boxes too and this one is quite small so is not used to hold anything at the moment anyway. Oh and a heart shaped one!!! 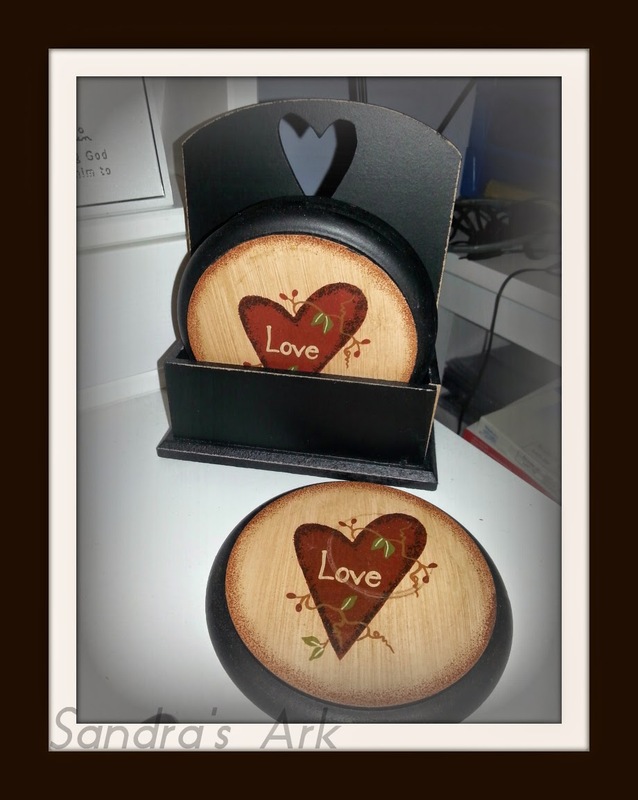 There is also a heart decorated wooden Tissue Box Cover. There is also a "Home is where the Heart is" Hanging Decoration. Then there is the Fred & Sandra Christmas decoration that just somehow didn't get put away with the other decorations one year because it needed to be repaired and then when I did get it fixed I just hung it on the door of my crafts armoire. And of course the heart cushion that I lean against each day when I sit on my computer chair. Oh I nearly forgot the 2 hearts with HOPE and FAITH that I couldn't resist buying earlier this year and don't know where they are meant to go yet so they are just sitting on one of the bookshelves. 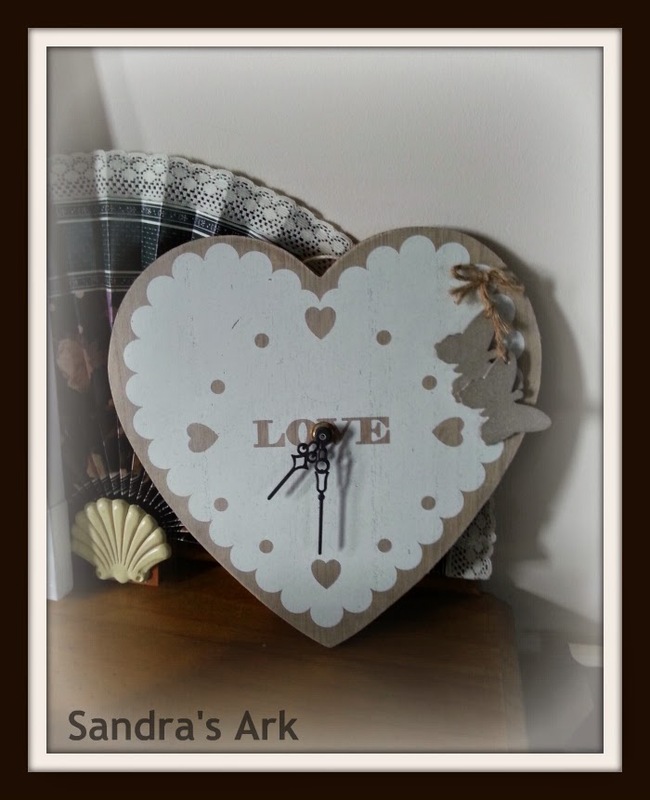 A heart shaped clock is waiting to be put up on the wall of the Dressing Room. 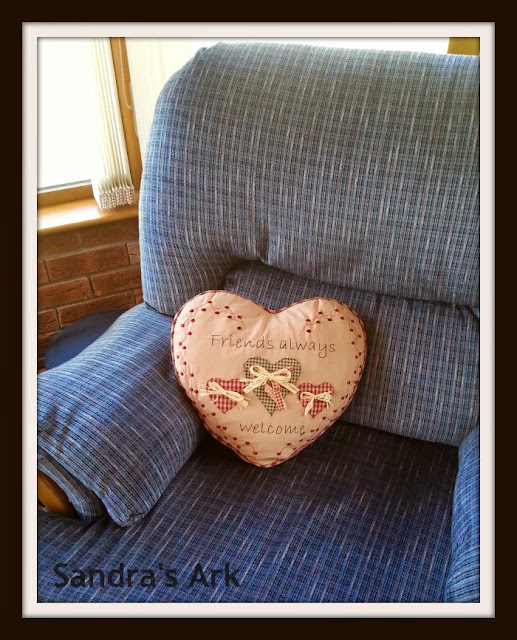 And my heart shaped Friends Cushion that sits in the Sun Room. Someday I should try to count up all the heart things I have. I may collect hearts but I can't collect a real heart. I cannot take someone's heart or make anyone love me. Fred loves me and my children love me and there are others who love me but I did not make them love me, they chose to do that themselves. We cannot make people love us, there are no special words to say or things to do. We also cannot make God love us. We cannot ever be "good" enough to make God love us. It has nothing to do with "how much" we might love God. It has nothing to do with "how much" we might try to get His attention. We cannot make God love us. He has always loved us. I am very thankful that God first loved us. He loved us before we even thought about loving Him. He loved us so much that even though He could not have us sinful creatures in His presence He made the only perfect way for us to be united with Him. Have you ever tried to make someone love you? Have you ever thought or planned what you could do to change your life so that God would love you? Do you feel that you would never be good enough for God to love you? Don't think any longer just acknowledge the fact that you can do nothing to earn His love you just simply have to believe that He loves you and accept the gift of Jesus. Jesus is the only one who can take our sins and give us His righteousness so that we can be in God's presence. This can happen as soon as we admit that we are sinful and decide to turn to God and away from that sinful nature. If you would like to know some more about God's Love and how we can be saved from our sin just click on the 3 2 1 Presentation at the top of my sidebar. 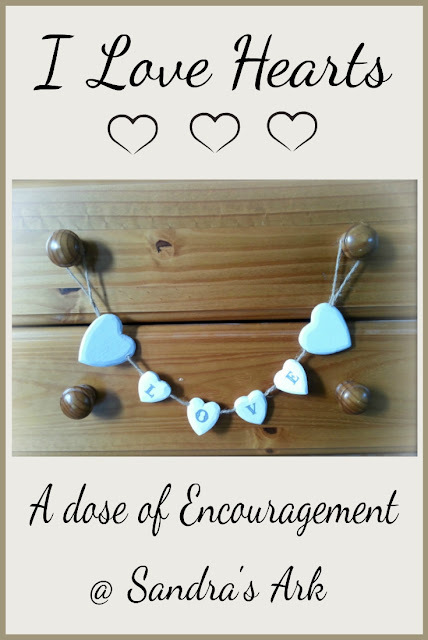 Or you might like to have a look at my new Sunday Series called "It's God's Love"
Labels: A Dose of Encouragement, encouragement, God's love, hearts, love, plan of Salvation, repentance, salvation. Such a great post. You have a lot of hearts in your home, and I think that's a great thing. Hi Kim nice to meet you, thanks for dropping in and I'm glad you like my hearts. I, too, love hearts and we all need encouragement. This is my first visit but now that I've "found" you I promise it won't be my last. Visiting from BOB(B). 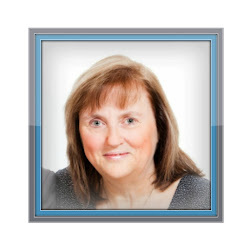 Hi dianne, lovely to meet you on my blog and not just see you on the group. I am so glad I found the group as you are all a great bunch of encouraging and helpful people. Hi Sandra! I love your heart collection! They all look so pretty and welcoming. No, I can't make anyone love me. I think I did try to make people love me when I was younger. Especially in the high school days. Being accepted was so important. But now I know who loves me just for me...God, my husband, my kids, and special friends. Because God says I am just enough for him, so I know I'm okay. Hi Ceil, yes so important that He loves us just for us . thanks for dropping in again. This post makes me smile so very much-- and I makes MY heart swell. Thank you so much for making my day! Sharita, I'm delighted to have made you smile because smiling is so good for us. Hi Chris, Thank you I enjoy your link up. My sister has hearts all over her house, she is a very loving person so maybe they inspire her! True, I think that lots of things around me make me stop and inspire my thoughts. I love all of the hearts in your home. Such a beautiful reminder of God's love! What lovely hearts! It's great that these hearts inspire you to think of all the precious love that exits in this life. Yes, He does love us, so we can quit trying to so hard! Loved the picture of all your hearts. So sweet! Thanks for linking up to Testimony Tuesday! I like your words and how you surround yourself with the comfort of the visible reminder of your blessings and loves. Reading this today, just made my own heart happy. The hearts are awesome, your devotion is amazing! And I thought I loved hearts! You have me way outdone! :) I love the visual reminder a heart provides, whether its love of family, love for my husband, love for my Saviour or love from my Saviour. Such a welcoming, comforting, sanctifying image all at once. We aren't one bit soppy either! :) Blessings! What an awesome decorating theme in your home- hearts! God's unconditional love has absolutely changed my life in recent years. I think I may try your idea of a few hearts around my house to remind me of His beautiful gift. I like your hearts and how you transitioned to God's love for us. 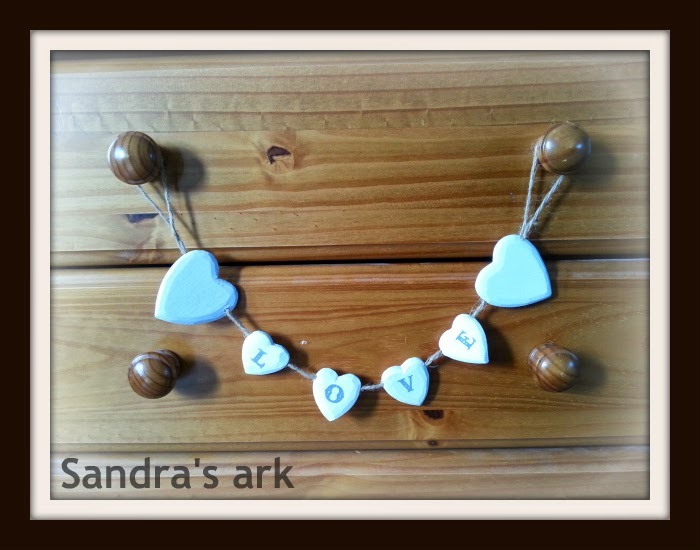 I "heart" your hearts, Sandra! Sometime we may think we want someone to love us, no matter what. But do we really want a forced love? I think that is one reason why God gave us free will. He could have made us love Him. But only love freely given is true. Have a blessed weekend! When I doodle, I draw hearts all over! Thanks for sharing at the NEW #PinFest! Sandra, you have been chosen as a Featured Pinner at the NEW #PinFest! Please come visit tomorrow at 7pm to get your button! Also, to be added as a contributor on the PinFest group board, you need to follow it on Pinterest! Thanks Chelsea, I was delighted. Sandra, another beautiful reminder. I just love the heart clock! But the more important message is that nothing can separate us from the love of God (Romans 8). It is one of my favorite scriptures. Thanks for reminding me of that here. Have a beautiful day! I love hearts, too. Yours are all so nice. that you might like to share hearts. I have never heard about that Link party before so I might just drop by today if I have some time.